Well, February flew by like a fart in the wind. Even with the whole Leap Year day addition……..ya, know what? I just realized today is actually Leap Year Day. Can we talk about this for 2.2 seconds? What is the actual reason for Leap Year besides the fact that it happens every fourth year? Did someone loose a calendar bet back when the Mayans were around? Did you really want to talk about historical calendar factoids on a Monday morning? How about I ask you another question? Anyway, if you have a bit of Leap Year Day knowledge in your ol’ head, drop me a comment below. I want to know. 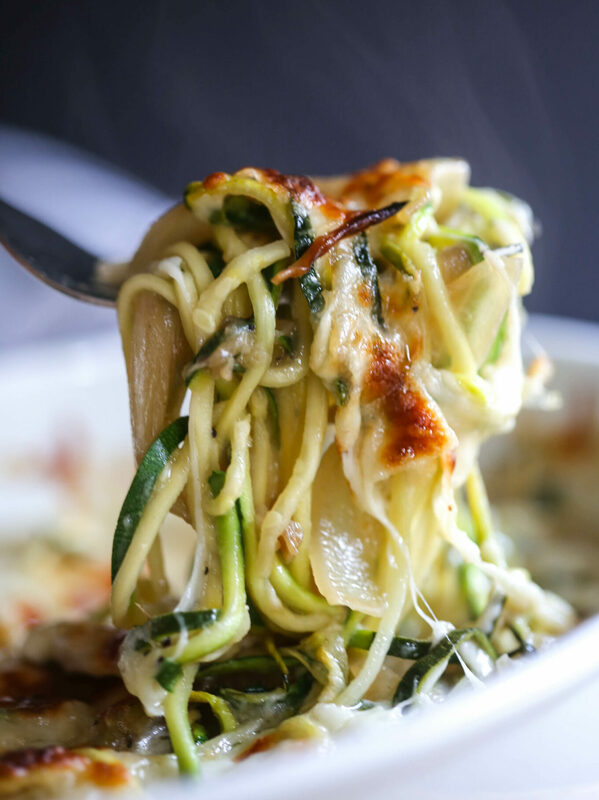 In the meantime, let’s talk zoodles. 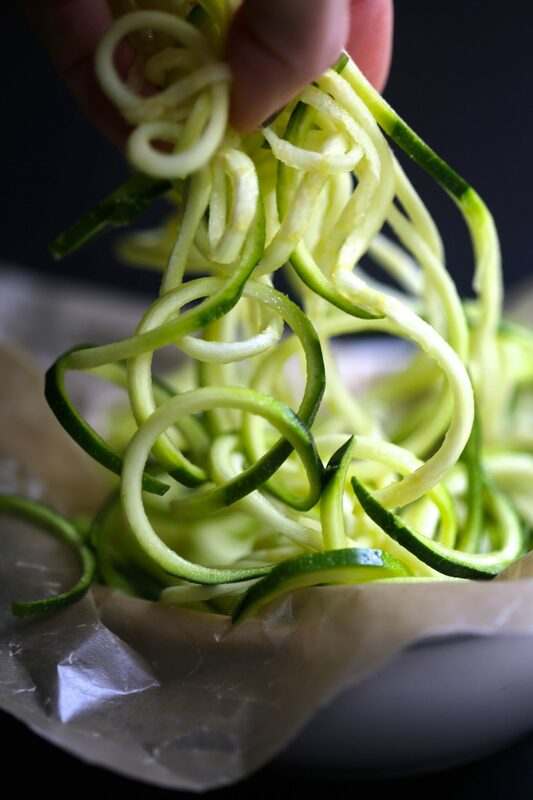 2016 has turned out to be the year of the zoodle. You can’t walk down a grocery aisle without seeing signs for zoodled sweet potatoes, turnips, parsnips, peppers, and zucchini. I think it’s great that people are finding vegetables to be more interactive because I do believe in balance. Now, if we could only zoodle some fried chicken. Just kidding. Maybe. 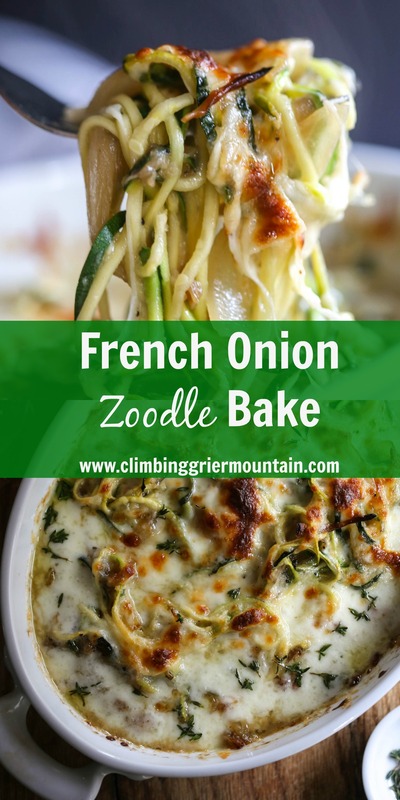 But speaking of balance, this French Onion Zoodle Bake is the perfect ying and yang when it comes to comfort-healthy food. 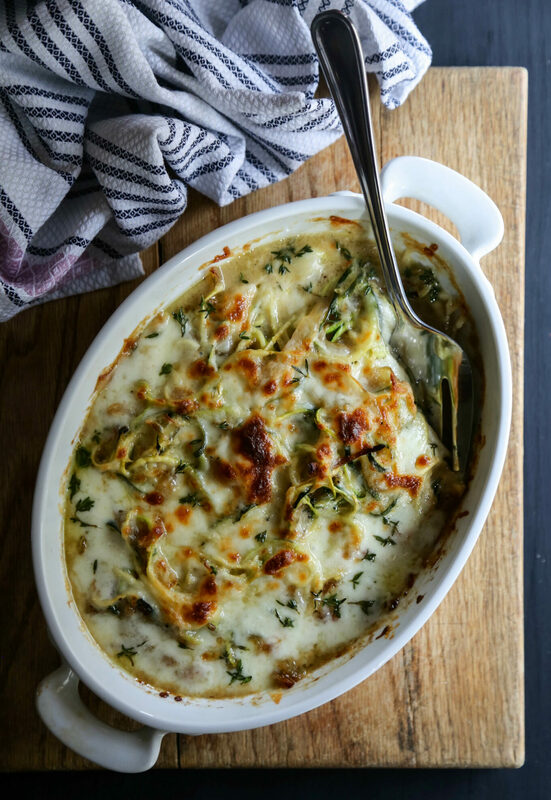 I adore, in fact crave French onion soup. It’s my second favorite soup with tomato being the first in case you were dying to know. 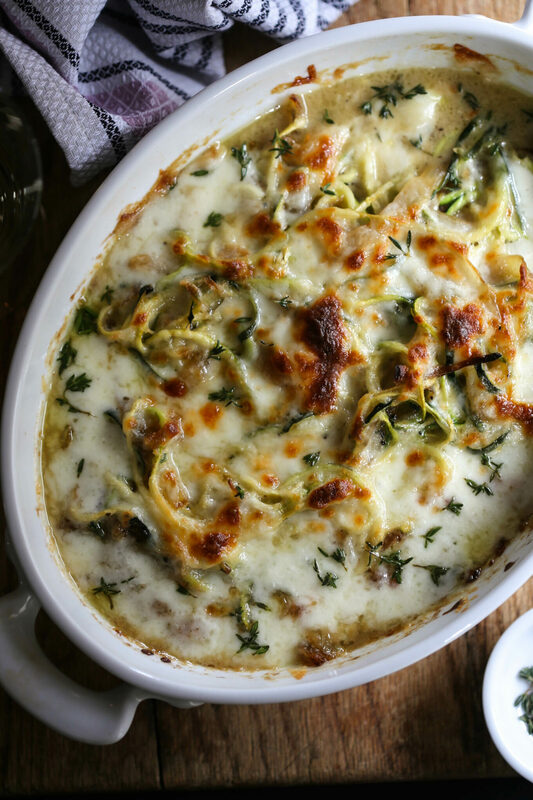 I thought by incorporating the flavors of French onion soup into a pasta bake, but subbing said pasta for zoodles would be a complete life win-win. Phew. Did you get all of that? Here, let me scoop you a serving before you “LEAP” into the bowl.